Are you looking for affordable abroad travel? Or willing to gain some experience in your field abroad? Do you like to travel with a purpose? Then, this article is written for you. In low and medium income countries, poverty, illiteracy,and lack of basic infrastructures are major problems hence, mental health is overlooked in these countries.According to WHO, low-income countries have less than one psychiatrist for every 100,000 people and many countries spend next to nothing for mental health programs. In this situation, you won’t only be practicing the mental health care as a counseling psychology volunteer but also widening your understanding about the world, learning to care about the world, and making a change a make our Earth a better place. What is counseling psychology volunteering? If you are mental health care professionals, or psychology student, or someone who cares about mental health and its importance and believes in helping the needy one, this might be the perfect program for you. You will not only be working with the people to help them in exploring and transferring unpleasant and distressing or disruptive mental and emotional experiences into useful personal growth opportunities, but also helping yourself to grow with hands-on experience and new exposure to new land and culture. Who can do the counseling psychology volunteering? Students of psychology or any mental health professionals including psychiatrists, psychologists, marriage, family therapists, and professional counselors who have been practicing counseling psychology within the legal or ethical restrictions imposed by the national or state standards can do counseling psychology volunteering. Why Psychology Volunteering is important? While mental health is given the foremost priority in the first world countries, mental health is still a nascent topic in theunderdeveloped and developing country. For a country, whose most of the population is below the poverty line, who don’t have access to clean drinking water, who die of diarrhea and cholera, and whose most of the population suffer from malnutrition, mental health has been overlooked in these countries. According to WHO, low-income countries have less than one psychiatrist for every 100,000 people and many countries spend next to nothing for mental health programs. In 2014, India spent less than 1% of its health budget on mental health care. Their underdeveloped status may give an excuse for its underdeveloped mental health care, but it doesn’t give an excuse for the mental health of their citizen. Indeed, those in poverty suffer from high level of stress than a wealthier individual, leading them to long-term mental disorders and issues such as post-traumatic stress disorder (PTSD), major depressive disorder and dysthymic depression. Hence, while doing psychological volunteering in these countries, you won’t only be practicing your mental health care, but also be a pioneer in awaring the importance of mental health and will be playing an impactful role uplifting their quality of life and leading a happy life. What could be better than doing something so impactful while also having fun, traveling, exploring, and also gaining exceptional experience with academic credits? You won’t be any longer in your air-conditioned room hearing your patient explaining his sleep disorder. You may be under the Banyan tree with a group of Srilanka’s women counseling about stress management or maybe with Haiti’s children helping them with post-disaster mental health problems. Now, it’s not only about hearing their problems and counselingthem but also about adjusting in a country and culture where you have never been, working with very poor equipment and a few professionals. Psychology counseling volunteering abroad is as rewarding as challenging it sounds. It’s never only about giving back to the community, indeed, it is also about building more confidence and growing as a person. After hearing to a mental health problem of a woman who has gone through forced child marriage and is abused by her family for not giving birth to a male child and listening to a child who works at a restaurant for bread and butter, you will be able to see how diverse the worlds is and realize how the perception of mental health varies across the world. This is an amazing opportunity to learn about the differences we have and the quality of life we live across the globe. While we are talking about uplifting the living standards and making our world a better place, it is foolish to think only about ourselves and forget about the ones who live in the different region of the world lacking the basic needs of life. How about stopping to rely on the government for everything? And, being the change you want to see in the world. This is an opportunity to be thankful for all the opportunities we have in our lives and help the ones who are unfortunate to have them. 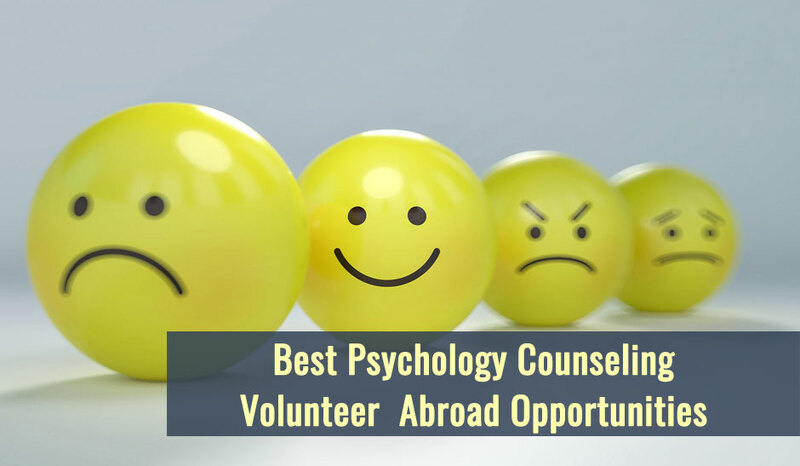 By now, you know all the benefits of doing psychology counseling volunteering abroad, so does your recruiter. They will be amazed to have someone who has gone outside their comfort zone, who has seen the different perspective of life, practiced the mental health care in the most challenging environment possible, and cares about the world. Cheers! You sound impressive! Volunteering and traveling abroad is of course one of the most exciting decision you can make. There are few things to be care before you begin your meaningful journey of thrill and excitement. Here are some of the factors you might want to examine before choosing your organization for psychology volunteer opportunities. There is no point in flying all the way to the different corner of the world, and finding out the organization that recruited you does not exist or does not provide you the program of your interest. So, don’t forget to look after the organization carefully and thoroughly. Ask the recruiter officer about their past events and works, the number of past volunteers and their reviews. It is always better to hear someone who has already walked the path you are willing to. 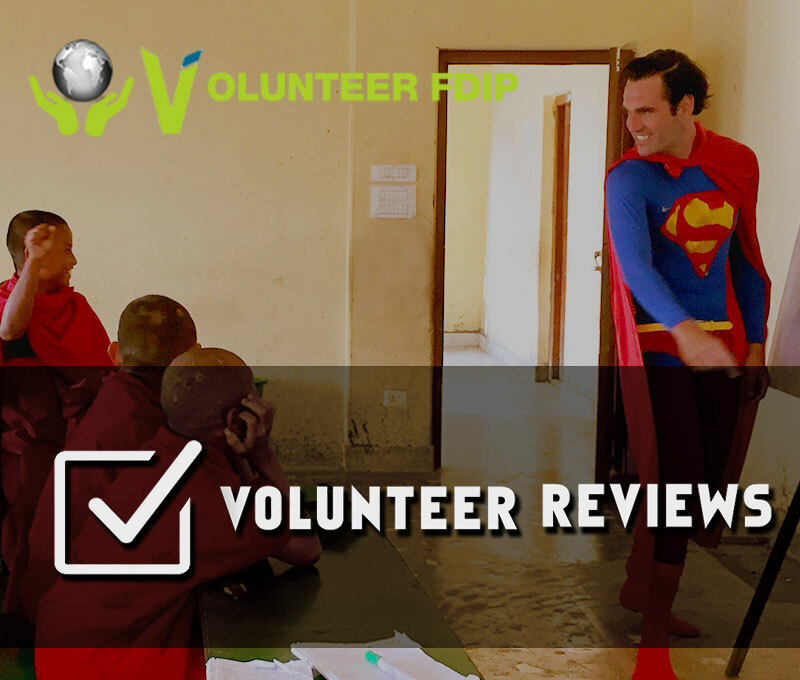 You can go through the organization’s website or their Facebook’s page to read their past volunteer’s reviews and comments on their volunteering experience. You can also request the organization to connect you with past volunteers. While your foremost goal of volunteering is to impact the community, you don’t want to return home with dissatisfaction. So, it is very important to check if the volunteering you are involved in is effective and impactful. While thinking of being out of comfort zone and doing something impactful, you should never forget to research about the location of the program. Doing this will allow you with the information of the available infrastructures, population, climate, and security of the place. This will help you to get prepared with necessary clothing and gadgets in hand, and make you more organized. You might be very excited to taste cross-cultural cuisine, but, you and your body might not always love it. So, don’t forget to take care of your body with good food and sound sleep. Pre-mention your food requirements or good allergies, of any. Also, check if the location is prone to disaster or not, and the safety of your housing. While very few organizations pay for the airfare of the volunteer, it is always better to book your tickets beforehand as it is way cheaper. To sum up, in order to stay safe and secured and prevent financial losses that may be incurred due to travel changes, cancellation or interruptions, medical requirements, baggage damage or theft, hijack or whatever possible mishap of uncertainties, it is always better and highly recommended to have a travel insurance before signing up for any volunteer abroad program. Plan my gap year offers mental health volunteer abroad programs in Ghana and Sri Lanka. The participant can join for 2- 13 weeks and is provided withextensive pre-departure support service, airport pickup, orientation, meals, accommodation, project transportation and local support throughout their placement. Connect 123 develops and administers international volunteer program in Barcelona, Buenos Aires, Cape Town, Dublin, Shanghai, and Sydney. They provide pre-departure session, ongoing support,and guidance, academic advises and mentoring in case of emergency. United Planet offers psychiatrists, psychologists, social workers, and students to work with local mental health professionals to counsel those with mental illness or abuse in Nepal and Peru. Volunteer FDIP, established in June 2014, works with a motto of bridging the gap between the one who wants to help and one needs help. It has been providing volunteering program on psychology counseling and hypnotherapy for 1-12 weeks in Nepal. Though no specific prior experience is compulsory, their applicant must have been trained in psychological counseling or hypnotherapy treatments and should have healthcare knowledge. Low and middle-income countries face mental health problems more because of poverty, low education, social exclusion, gender disadvantage, disasters,and conflict. They lack evidence-based health care because mental health is still a nascent topic in these countries and they lack other basic health care. Volunteering in psychology counseling in these countries will not only help you get hands in experience, but also give you the new perspective of life and the world, make you feel grateful for the little things you have in life, and teach you to be more affectionate and caring about the world.While thinking about doing something impactful to the world, don’t forget to consider the organization history, reviews of past events, location of the program, food and accommodation in order to make your volunteering more effective and organized.